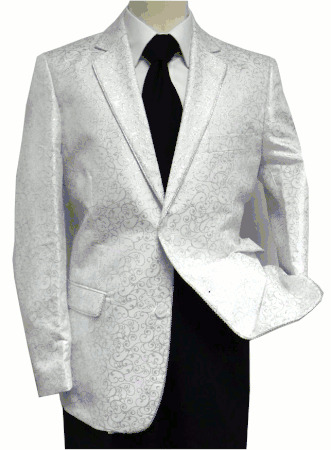 If you like Las Vegas style stage jackets and love to sparkle where ever you happen to be, this white with silver pattern fashion blazer will be the one to make it happen. Featuring shiny silver piping as well as a swirl pattern. This men's fashion blazer has what it takes to be an entertainer on stage.